Some of us are lucky enough to have green fingers, and some of us cannot keep houseplants looking good and thriving for very long. That could be because we are forgetful about looking after them, or that we are choosing the wrong sort of plants to have in our homes. There are some plants that are more suited to being indoors, and although they all need some looking after, some of the hardier ones will survive a bit of neglectfulness. 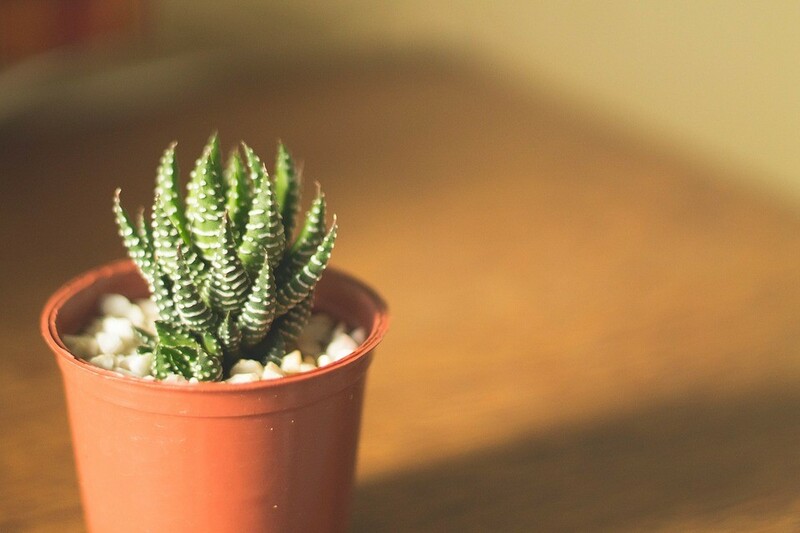 One of the easiest indoor plants to keep alive is aloe vera. Although famous worldwide for its health benefits, it is a very easy plant to care for. It only needs watering every 2 or 3 weeks, and as long as it has plenty of sunshine, it will easily grow to 3 feet high. So called because it does not need soil to flourish, give your air plant a soak in water every couple of weeks and it needs no more care than that. Some people put them in bathrooms so that they naturally soak up the moisture from the air;then the air plant needs even less carebut is a wonderful addition of greenery in your bath or shower room. You can even buy ePlanters – self watering planters for your air plant if you want to really make your job easy. This is a tropical plant that will grow to 6 or 7 feet in the right conditions. A spacious pot, indirect light and some water every other week will help it grow to its full potential. A cactus can be a brilliant low maintenance indoor plant. Give them sun sunlight, or heat from your home, and an occasional drink and they will thrive. Although they are often thought of as just green spiky plants, some of them produce beautiful flowers, although the petals tend to fall fairly quickly. Although the leaves look like those of the palm trees, it is actually from the lily family. It has a distinctive thick trunk, hence the name, and responds well to dry environments. Always let the soil dry out before giving it more water. If you want a plant that will really stand up to your neglect, buy a fiddle leaf fig. It has large thick foliage and will grow to 6 feet in height, as long as it has some decent light and an occasional drink. Many of the plants that are easy to care for are evergreens, but the peace lily will produce beautiful flowers, and set against its deep green leaves, they provide a wonderful contrast. It does not need much light or water to thrive. Rubber plants can grow as tall as 8 feet, so you just need to keep an eye on whether it is outgrowing its pot. Other than that, it needs some bright light, an occasional drink and you might have to use your feather duster on the leaves sometimes. Not that the dust will affect the plant, but it just looks better without it. Some of the plants need so little care that they will thrive and be a beautiful addition to your home even if you don’t have green fingers.